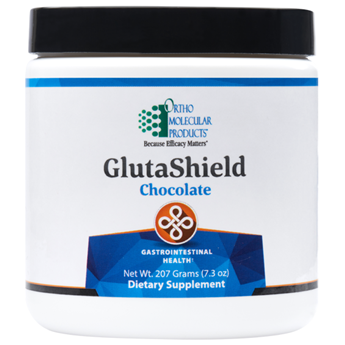 GlutaShield is designed to promote the health and barrier function of the gastrointestinal lining. Its unique formula includes nutrients that supA healthy gastrointestinal (GI) tract has an epithelial mucosal barrier that prevents the passage of food antigens (proteins), toxins, and microorganisms from crossing into the bloodstream. Stress, overconsumption of alcohol, food intolerance, microbial imbalance and poor nutrition can affect the integrity of the epithelial barrier. The health of the GI tract is dependent on the modulation of these factors. Mix 1 scoop (6.9 grams) of GlutaShield with water or the beverage of your choice, once daily or as recommended by your health care professional.port the gut mucosal epithelium.